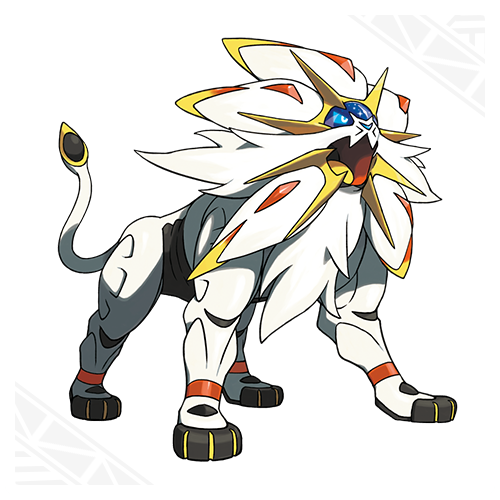 This is Solgaleo, the cover legendary for Pokemon Sun. As I said in my old post this is my favorite out of the two. It has Psychic/Steel type oddly enough and has the ability Full Metal Body, which is just Clear Body with a different name. So it is basically Metagross in terms of typing and ability. 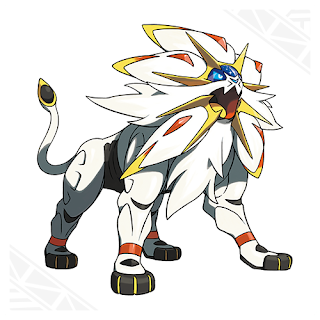 It also has the move Sunsteel strike, which ignore the opponent's ability when attacking. This guy seems pretty solid, if not the original with it's mechanics. It is noted as being a emissary of the sun and seems to contain energy within's it's body. I wonder how this guy will fit into the story but I do have high hopes for him. 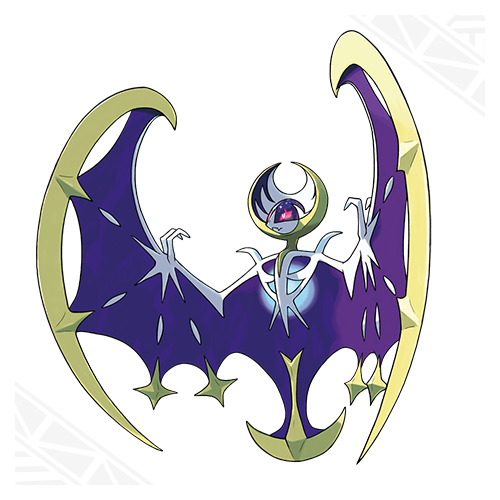 This is Lunala, the cover legendary for Pokemon Moon. It is a Ghost/Psychic type and has the ability Shadow Shield, which is basically Multiscale. This guy has a nice enough design and like it's brother it the emissary of the moon. I am not sure what kind of Pokemon he will be or how it will fit with the story but I am sure it will be interesting. Now on to the rest of the information revealed. Hau( Presumably the Rival): I was kinda disappointed with our rival this gen. He seems okay if not bland and fitting with usual rival theme of being your supportive friend. He seems more like Barry with his disposition in the trailer so that is nice. Lillie: While her appearance is the usual for female rivals, it was the description on the website that had me intrigued. It says that she is very important to the story and she dislikes pokemon battles. This info alone has me exited. Is she like N, the greatest pokemon character of all time, who was trying to stop pokemon battles all together. How is she important to the story. She seems to be the professor's assistant. I am trying not to get my hopes up for her as a character because this is pokemon, but am still exited nonetheless. Professor Kukui: This is our professor this gen. He seems to be researching Pokemon moves and such. Standard professor fair it seems. I am kinda neutral about him to be honest. The Alola region: It's Hawaii. And that is freaking awesome. I really like the design of the region this time around and love the fact that it will have different islands to explore. With the way things are looking this may be the best region yet.